The World Health Organization (WHO) Simulation is a simulation of a meeting of the WHO World Health Assembly. This year the Assembly itself will be happening in May in Geneva and for the first time IADS is joining as well. 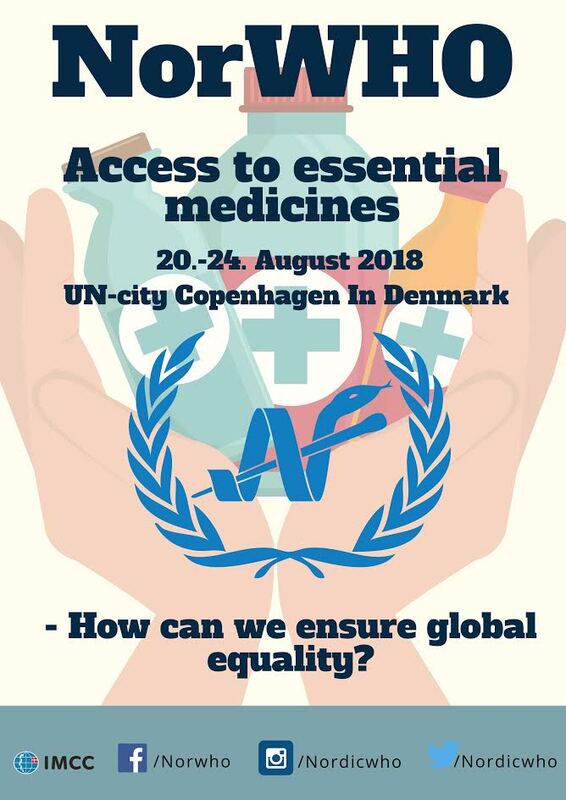 But for those members who are interested in global health topics and would like to know more about how the WHO meetings work and maybe become part of the IADS delegation next year, we have a very interesting event where you can participate in- the NorWHO Simulation happening in August in Copenhagen, Denmark. Our partner organization, the IFMSA, created a toolkit for associations to use as a guide to organizing these WHO simulations. Basically the event is a global health conference meant to simulate the political, social, cultural and economic realities that define the world of global health policy and diplomacy. It is a very fun and educative event where you can meet with new people, learn more about global health and the WHO. Both IADS and IFMSA are are extremely motivated to encourage interprofessional collaboration and education and this Simulation helps to get also dental students more involved and interested in the future of healthcare. Please distribute this info among your students and in case of any more questions, feel free to contact us.